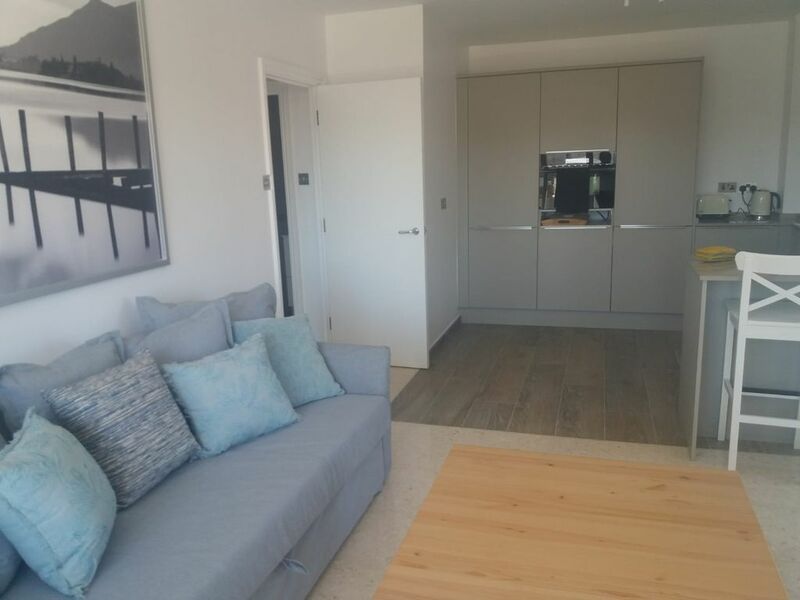 This modern apartment has quality fittings and a high level of finish throughout. Windows with sliding doors lead on to a partial marina & Rock facing terrace. The apartment has a flat-screen TV with satellite channels, a kitchen equipped with a dishwasher, washing machine, an oven, a microwave, a stove top, a refrigerator, a toaster and a kettle. There is a private shower room, free toiletries and a hairdryer. Towels and bed linen are provided. The accommodation is self catered, however the surrounding area feature many restaurants and cafe’s and a supermarket is located at the entrance to the building. The town centre is a 5 minute walk from the property and Gibraltar airport is a 5-minute drive away.